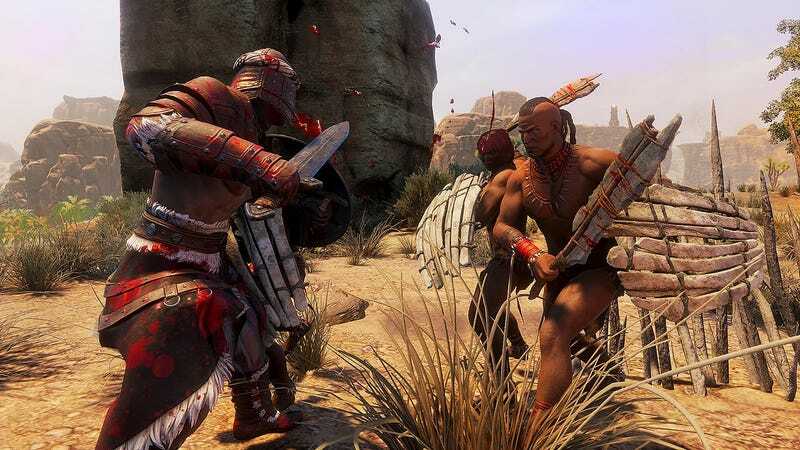 Funcom’s taking its Conan license to a much harsher environment next year with Conan Exiles, an open-world survival game that challnges players to tame a barbarian wasteland and uncover its secrets. Xbox One players will be able to get in on the action this spring via the preview program. I’m getting a very Ark: Survival Evolved vibe from what I’ve seen of Conan Exiles so far, but we’ll know for certain once the game hits PC early access on January 31. Then players will be able to band together on servers to build up their clan from ragtag band to dominant power, or go it alone, uncovering the mysteries of the ancient ruins that littler the harsh landscapes. Funcom celebrates the announcement with a new gameplay trailer, giving players a taste of what they’ll be conquering next year. Check out the game’s official website for more info.